Depending upon what beverage you are drinking, getting it open could be a piece of cake or this side of a nightmare. That’s where having the right tool for the job can come in handy. 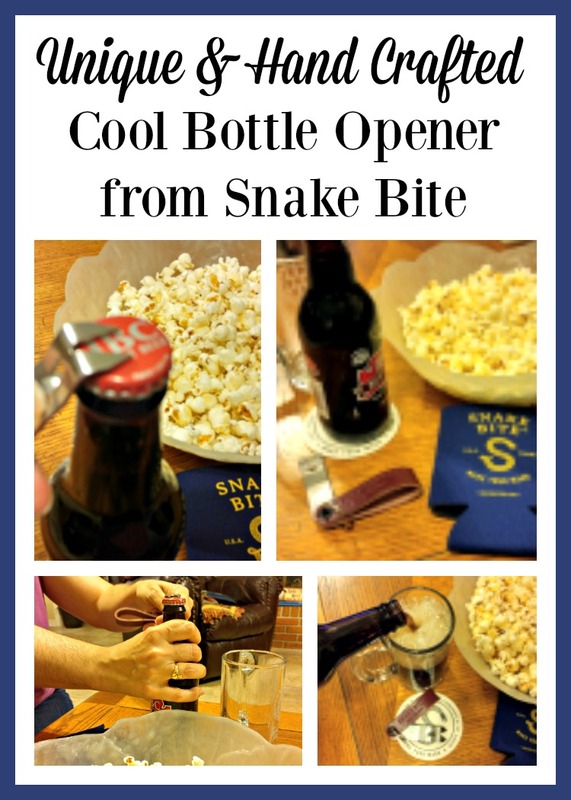 Snake Bite sent me a cool bottle opener to test out and my college aged son and I are in love. For the review, I selected the Original Snake Bite in Blood. The deep red leather called to me as my top color choice from those available. It is a patented keychain bottle opener sheathed in 6oz vegetable tanned blood leather. This tool is made from stainless steel. 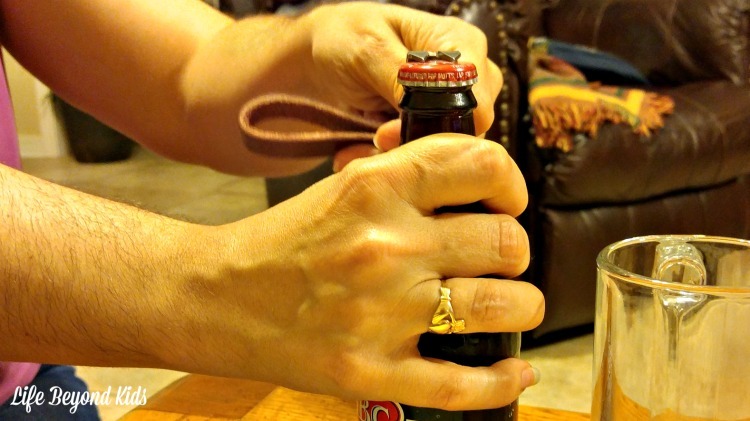 It is used to easily open bottles or vent the back of aluminum cans for an amazing pour every time. Holding it all together are military grade kydex holster rivets and hard drawn nickel plated steel split rings. From looks alone, I know it is desirable. My college aged son immediately asked if it was for him. Score one for Snake Bite on developing something that appeals to the millennial crowd while also proving itself useful for those of us who are a little older. I will admit that I never considered using something to open aluminum cans. However, I am now convinced this is the way to go if you are going to pour into a glass for drinking. The feature I most love is that it is made to travel with you. Hook it onto your keys and you’ll always be ready to open that next beverage! This would be a wonderful gift item for the adults in your life. 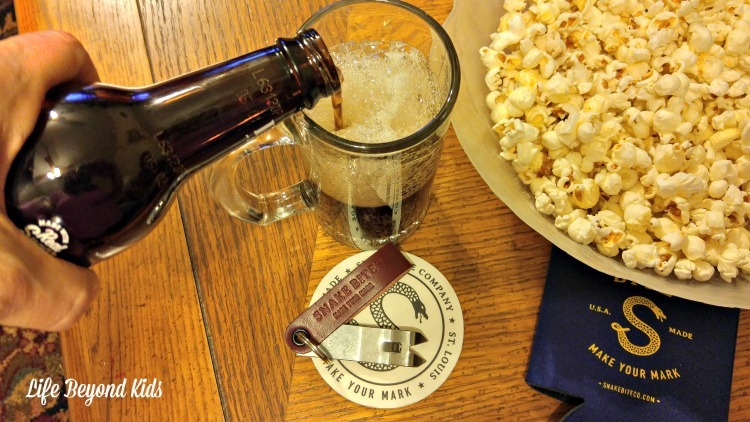 Whether a stocking stuffer or part of a gift bag or basket, this is one cool bottle opener to have on hand. 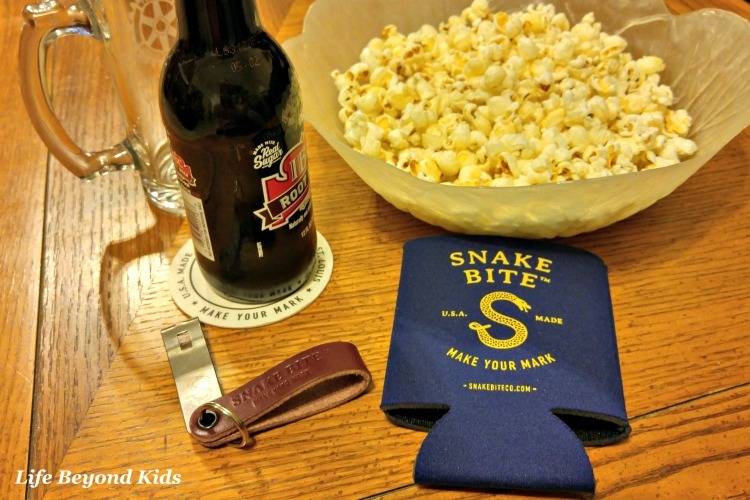 Win a Snake Bottle Opener!! Click through and enter for your chance to win one. 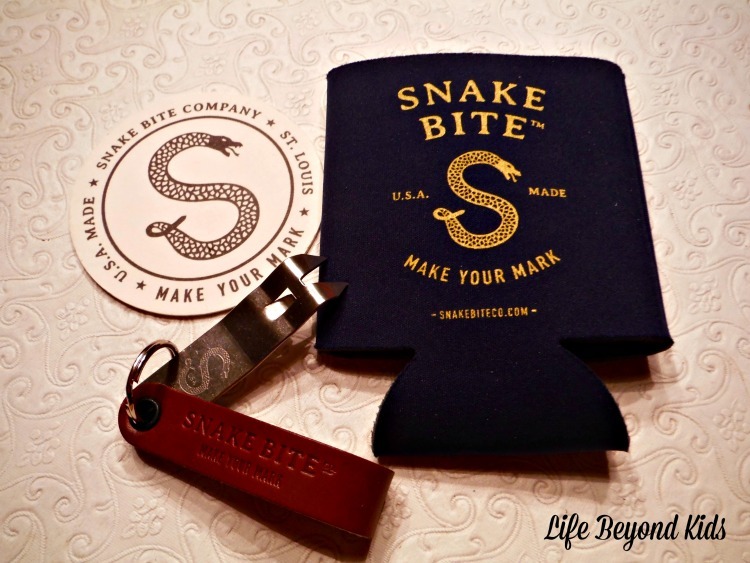 Have you heard of Snake Bite bottle openers? Who in your life would love to have one of their own?